What is the one place where you can get free books any day of the week? The library! Of course libraries offer more than just books … there are DVDs, music, special programs, even story times. We’ve rounded up some resources to help those who may not be familiar with – or who are uncomfortable – using your neighborhood library. We even have some videos about libraries. 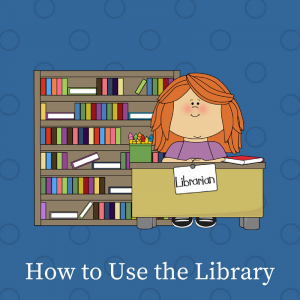 Who better than librarians to tell you the way to get the most from your library experience? The title of the article tells you exactly what you’ll find inside! Worldcat.org – This is an online, international, card catalog. By typing in a book’s title, you can see what libraries around the world have it – and in what languages!